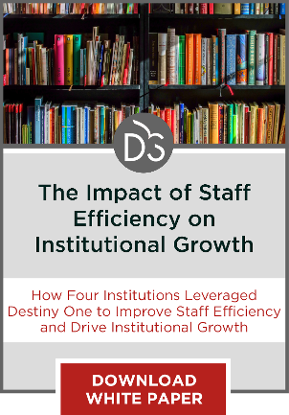 The affiliated faculty model, popular among continuing education units, could help institutions reduce their instructional costs while maintaining high levels of quality. Today’s colleges and universities face myriad challenges. One of the most dramatic is the challenge to contain costs in the face of a market that’s growing evermore price resistant. Instructional costs are a major part of almost every higher education budget and many institutions have moved to hire more part-time faculty to reduce those costs. Such faculty are commonly called adjunct or, more recently, contingent. They’re welcomed in the name of operational efficiency but also scorned by many who are concerned about the quality of their educational experiences in the classroom, real or virtual. The loudest scornful voices come from the ranks of full-time, tenured faculty who see part-timers as a threat to the status and prestige of a system very much akin to the medieval guild system. Conveniently, we can turn to the great medieval mind of Thomas Aquinas for enlightenment here. In the same way Aquinas synthesized seemingly diametrically-opposed ideas (what is real, the individual or the universal? What is man, spirit or matter? Who was right about creation, the Church or Aristotle? To each question, Thomas slyly answers, “Both”) we should seek synthesis between the model of full-time, tenured faculty and the model of part-time faculty. I humbly suggest we call that synthesis “affiliated faculty.” This denotes part-time status but also an ongoing engagement, an affiliation, with the institution. 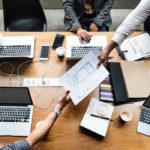 Affiliated faculty offer ways to cut costs so the college or university can operate more efficiently; but they also offer opportunities to maintain and advance educational quality. What must the college or university do to take advantage of both? What follows are lessons learned from 15 years of implementing, developing and maintaining a successful affiliated faculty model in the School of Continuing and Professional Studies at Elizabethtown College. We call our process the ‘faculty assessment,’ which involves candidates in almost a day’s worth of activities that are then judged by a group of assessors; this group includes faculty, staff, current students, alums, community representatives, etc., and pass rates usually do not exceed 30 percent. Be clear about the standards against which you assess the faculty candidates. It’s not a perfect tool but over the years it has proven to be remarkably predictive of success in the classroom. Your regional accrediting organization should be happy with this process, too. Affiliated faculty have needs and desires that differ from those of full-time faculty and leadership needs to understand this. This leadership could be a dean or associate dean of affiliated faculty. Show you care about how they do in the classroom by holding at least two development opportunities a year. Add value to the experience by issuing a completion certificate and giving preference in teaching assignments to those who regularly attend these developments. They will appreciate these opportunities and your classroom culture will benefit. Affiliated faculty need a role in institutional governance. Be gracious and invite them into the club. Make teaching the main task of your affiliated faculty. Break out other tasks such as curriculum development, curriculum revisions and service, and compensate separately by task. This will help you better control expectations and task completions and the costs associated with them. Give awards. Have affiliated faculty dinners and events. Make sure institutional leadership is present in some way. Above all, listen to what they have to say. Colleges and universities can be more efficient in their core operations by using affiliated faculty. In their development and maintenance of this faculty, they can also maintain and advance the quality of those operations. As with so many things in life, the best lies midway between the extremes. I don’t like the idea of moving towards the adjunct faculty model in the name of cost savings. It’s bad for the faculty and for the students. Unbundling faculty services is an interesting concept. I think we put too much attention on faculty doing it all, but if curriculum planning, instructional design, educating and assessment were broken apart, students would be more successful and the courses would be of a much higher quality. We’ve found that to be the case. Unbundling these services can be viewed as a mechanism of quality control that improves the student learning experience. It’s also more friendly to accurately tracking costs. So “affiliated faculty” is the name we’re going with now? To make it seem like these underpaid, overworked instructors choose not to be tenured faculty? No matter how you package their role and try to involve them in the decision-making process, sessional instructors or adjunct faculty or “affiliated faculty” will never fully be part of the institution until they make decent salaries and receive benefits like their tenured colleagues. It’s great that Kokolus is thinking of opportunities for them to grow through professional development, but I think I speak for most adjuncts when I say we would rather — to be crude — see our bank accounts grow. This two-tier system of hiring faculty simply has to go. Well, we’d all like to see our bank accounts grow. I do agree that there are inequities in the system we have now. But the underlying issue is the lack of faculty productivity metrics. Ideally these metrics should drive levels of compensation. It’s a bit reductionist to say engagement is only possible at a certain compensation level. We all know highly compensated faculty who are very disengaged and I have known many less compensated faculty who are very engaged. I understand the frustration many adjunct faculty may feel, but in defense of Kokolus, I believe he’s referring to part-time faculty who have other jobs and come in to teach a course or two in which they are experts. This tends to happen in CE programs. If that’s the group Kokolus is referring to, I agree with the points about the need to engage them in what the rest of the institution is doing. I believe these experts, with their semi-outsider status, have a lot to provide in terms of ideas and innovation for the programs they’re involved in. Getting them involved in leadership is a good idea. Those are exactly the individuals I am referring to. Thanks for bringing added clarity to the topic.